1902 Birth: Felix Wankel: German engineer and inventor; Wankel rotary-piston engine. Wankel was born in Lahr, Germany, in the upper Rhine Valley. Since his mother was widowed in World War I, Wankel received no university education or even an apprenticeship. However he was able to teach himself technical subjects and conceived the idea of the Wankel engine in 1924. In the 1930's, he had a disagreement with Adolf Hitler, and was imprisoned by the Nazis for some months. During World War II, he developed seals and rotary valves for German air force aircraft and navy torpedoes. After the war, he was imprisoned by the Allies for some months, his laboratory was closed, his work confiscated, and he was prohibited from doing more work. On this day in 1918, five days after an Allied attack at Amiens, France, leads German commander Erich Ludendorff to declare "the black day of the German army," Kaiser Wilhelm II of Germany summons his principal political and military leaders to a crown council at Spa, a resort town in Belgium, to assess the status of the German war effort during World War I. On August 11, after the Allied victory at Amiens kicked off a new Allied offensive on the Western Front, Ludendorff and Paul von Hindenburg, chief of the German army's general staff, told the new naval chief, Admiral Reinhardt Scheer, that Germany's only hope to win the war was through submarine warfare. 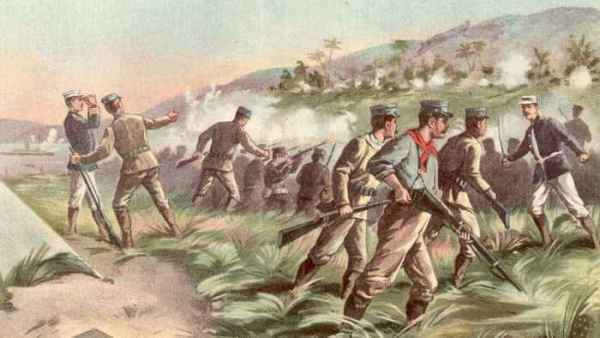 "There is no more hope for the offensive," the downtrodden Ludendorff told a staff member on August 12. "The generals have lost their foothold." At the crown council assembled on August 13-14 by the Kaiser at Spa, where the German High Command had its headquarters, Ludendorff recommended that Germany initiate immediate peace negotiations. 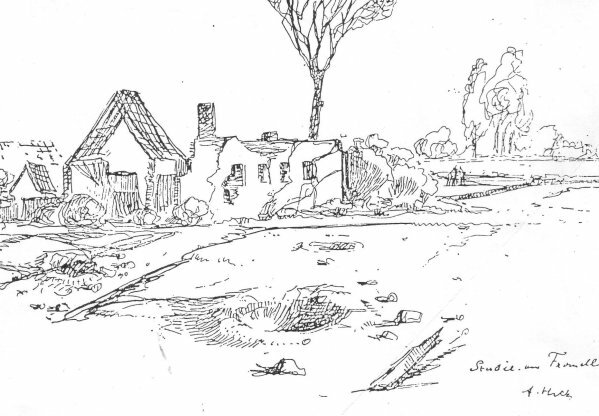 Ludendorff failed, however, to present the true extent of the military's disadvantage on the battlefield; instead, he blamed revolt and anti-war sentiment on the home front for the military's inability to continue the war effort indefinitely. Meanwhile, the chief military adviser to Austrian Emperor Karl I informed Wilhelm that Austria-Hungary could only continue its participation in the war until that December. Though the Kaiser thought it advisable to seek an intermediary to begin peace negotiations, his newly appointed foreign minister, Paul von Hintze, refused to take such an approach until another German victory on the battlefield had been achieved. Hintze, working on suppressing discontent and rebellion within the German government, told party leaders the following week that "there was no reason to doubt ultimate victory. We shall be vanquished only when we doubt that we shall win." 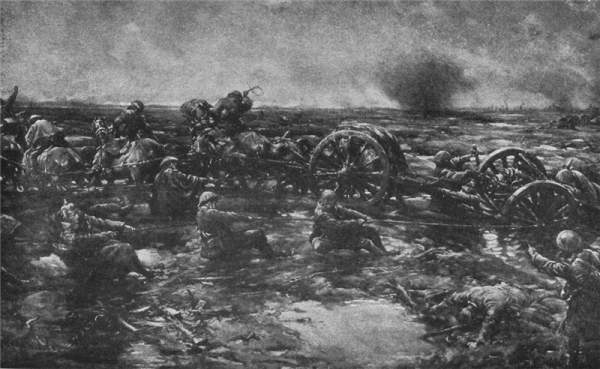 1920 Polish-Soviet War: Battle of Warsaw begins. Note: The Battle of Warsaw was fought from 13 to 25 August 1920 as Red Army forces commanded by Mikhail Tukhachevski approach the Polish capital of Warsaw and nearby Modlin Fortress. The Red Army is defeated. 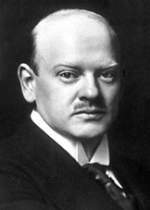 In 1918 Stresemann formed the German People's Party. After Germany's defeat Stresemann was sympathetic to the Freikorps and welcomed the defeat of the socialists and communists in the German Revolution. However, he became increasingly concerned by the use of violence of the right-wing groups and after the murders of Matthias Erzberger and Walther Rathenau, Stresemann decided to argue in favor of the Weimar Republic. With the support of the Social Democratic Party Stresemann became chancellor of Germany in 1923. He managed to bring an end to the passive resistance in the Ruhr and resumed payment of reparations. He also tackled the problem of inflation by establishing the Rentenbank. Stresemann was severely criticized by members of the Social Democratic Party and Communist Party over his unwillingness to deal firmly with Adolf Hitler and other Nazi leaders after the failure of the Beer Hall Putsch. Later that month the socialists withdrew from Stresemann's government and he was forced to resign as chancellor. Repeated conferences are held between Hitler, von Hindenburg, and von Papen. Hitler is offered the Vice-Chancellorship and the post of Prussian Minister of the Interior. Hitler demands the post that Mussolini had after his march on Rome. He requests also three days in which the streets will be thrown open to the SA. Hindenburg refuses. 1934 Völkishness: Wewelsburg castle in Westphalia is officially taken over by Himmler and the SS. The focal point of Wewelsburg, evidently owing much to the legend of King Arthur and the Knights of the Round Table, was a great dining hall with an oaken table to seat twelve picked from the senior Gruppenfuehrers. The walls were to be adorned with their coats of arms. Underneath this dining hall there was kept a so-called "realm of the dead", a circular well in which these coats of arms would be burnt and the ashes worshipped after the "knight" had died. (There are tales of Himmler using the severed heads of deceased SS officers to communicate with ascended masters.) In addition to this, each knight had his own room, "decorated in accordance with one of the great ancestors of Aryan majesty." Himmler's own room was dedicated to a Saxon King Henry the Fowler, with whose ghost Himmler sometimes conversed. 1937 Languages: The German Ministry of Education orders all Germans knowing a foreign language to register with the government. In spite of the presence of Lord Runciman as head of an unofficial British mission in Czechoslovakia, Germany started in August to mobilize her army to the strength of one million men, to hold army maneuvers not far distant from the Czechoslovak border, and to rush the building of most modern and impregnable fortifications along her Western frontier. World War II: The Battle of Britain escalates: On this day in 1940, German aircraft begin the bombing of southern England, and the Battle of Britain, which will last until October 31, escalates. The Germans called it "the Day of the Eagle," the first day of the Luftwaffe's campaign to destroy the RAF, the British Royal Air Force, and knock out British radar stations, in preparation for Operation Sea Lion, the amphibious invasion of Britain. Almost 1,500 German aircraft took off the first day of the air raid, and 45 were shot down. Britain lost 13 fighters in the air and another 47 on the ground. But most important for the future, the Luftwaffe managed to take out only one radar station, on the Isle of Wight, and damage five others. This was considered more trouble than it was worth by Herman Goering, commander of the Luftwaffe, who decided to forgo further targeting of British radar stations because "not one of those attacked so far has been put out of operation." About 8 kilometers from Limburg, in the little town of Hadamar, on a hill overlooking the town, there is an institution which had formerly served various purposes and of late had been used as a nursing home; this institution was renovated and furnished as a place in which, by consensus of opinion, the above-mentioned euthanasia has been systematically practiced for months, approximately since February 1941. The fact has become known beyond the administrative district of Wiesbaden, because death certificates from a Registry Hadamar Moenchberg are sent to the home communities . . . . Several times a week buses arrive in Hadamar with a considerable number of such victims. School children of the vicinity know this vehicle and say, 'There comes the murder box again.' 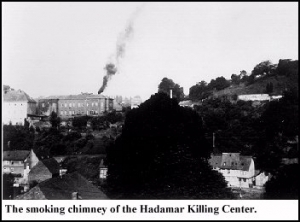 After the arrival of the vehicle, the citizens of Hadamar watch the smoke rise out of the chimney and are tortured with the ever-present thought of the miserable victims, especially when repulsive odors annoy them, depending on the direction of the wind. The effect of the principles at work here are: Children call each other names and say, 'You're crazy; you'll be sent to the baking oven in Hadamar.' Those who do not want to marry or find no opportunity say, 'Marry, never! Bring children into the world so they can be put into the bottling machine!' You hear old folks say, 'Don't send me to a state hospital! After the feeble-minded have been finished off, the next useless eaters whose turn will come are the old people' . . . . The population cannot grasp that systematic actions are carried out which, in accordance with Paragraph 211 of the German criminal code, are punishable with death! Officials of the Secret State Police, it is said, are trying to suppress discussion of the Hadamar occurrences by means of severe threats. In the interest of public peace this may be well intended, But the knowledge and the conviction and the indignation of the population cannot be changed by it; the conviction will be increased with the bitter realization that discussion is prohibited with threats but that the actions themselves are not prosecuted under penal law. 1945 World War II: An air raid on Tokyo destroys scores of Japanese aircraft while still on the ground. Herr Boehm: Do you know that Seger accused you of murder? Werner Schaefer: Yes, I know that. Herr Boehm: Was this matter cleared up beyond doubt? Werner Schaefer: Seger accused me of being responsible for the shooting and killing of two internees. This case was cleared up beyond all doubt, so satisfactorily indeed that when this book on my instructions was read to the internees in the camp, one of the persons who, as Seger alleged, had been shot, suddenly stood up and reported that he was alive and well, while the other one was already with his family, having been released; a clear refutation, therefore, by the two men themselves who were said to have been shot. Responding to increasing Soviet pressure on western Berlin, U.S. and British planes airlift a record amount of supplies into sections of the city under American and British control. The massive resupply effort, carried out in weather so bad that some pilots referred to it as "Black Friday," signaled that the British and Americans would not give in to the Soviet blockade of western Berlin. 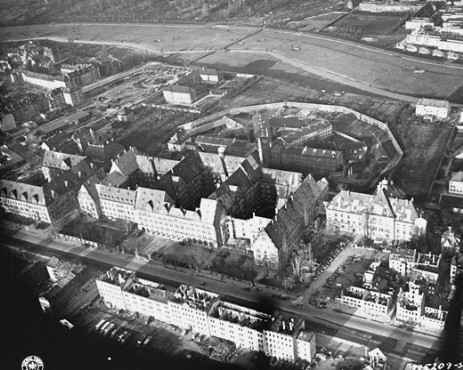 Berlin, like all of Germany, was divided into zones of occupation following World War II. The Russians, Americans, and British all received a zone, with the thought being that the occupation would be only temporary and that Germany would eventually be reunited. By 1948, however, Cold War animosities between the Soviets and the Americans and British had increased to such a degree that it became obvious that German reunification was unlikely. In an effort to push the British and Americans out of their zones of occupation in western Berlin, the Soviets began to interfere with road and rail traffic into those parts of the city in April 1948. (Though divided into zones of occupation, the city of Berlin was geographically located entirely within the Russian occupation area in Germany.) In June 1948, the Russians halted all ground and water travel into western Berlin. The Americans and British responded with a massive airlift to supply the people in their Berlin zones of occupation with food, medicine, and other necessities. It was a daunting logistical effort, and meant nearly round-the-clock flights in and out of western Berlin. August 13, 1948, was a particularly nasty day, with terrible weather compounding the crowded airspace and exhaustion of the pilots and crews. Nevertheless, over 700 British and American planes landed in western Berlin, bringing in nearly 5,000 tons of supplies. 1969: President Nixon, the Apollo 11 astronauts, and a plethora of invited guest attend a televised celebration at the Century Palace Hotel in Los Angeles. 2004 Death: Julia Child: American chef and television personality. Civic-minded, she volunteered with the American Red Cross and, after the bombing of Pearl Harbor in 1941, joined the Office of Strategic Services (OSS) after being turned down by the United States Navy for being too tall (6'2"). For a year, she worked at the OSS Emergency Sea Rescue Equipment Section in Washington, DC, where she was a file clerk and also helped in the development of a shark repellent. In 1944 she was posted to Kandy, Ceylon (now Sri Lanka), where she met her future husband, a high-ranking OSS cartographer, and later to China, where she received the Emblem of Meritorious Civilian Service as head of the Registry of the OSS Secretariat.